PC Connectivity – the higher priced machines can connect to your PC for more pattern combinations via special software. You can also create your own designs with a quilting pattern software system.. Number of stitch patterns – on computerized machines – More patterns means more creativity! Look for dedicated quilt stitches, most computerized sewing machines should have some. Automatic Tension – this is a feature I love on any machine, never having to fiddle to get the tension right! Needle up and down control. This can be set to lift when sewing stops or to stay in the fabric (for pivoting around corners. Knee Lifter – This is an attachment that lets you use your knee to lift the foot, leaving your hands free. Stitch regulator – this adjusts to the speed of the sewing machine automatically and produces stitches of precisely the same length. Used when the feed dogs are lowered for free motion quilting. Some companies have their own patented versions of a stitch regulator. As I said, it’s more important to have a sturdy machine that sews well. You don’t have to have all the above features, but if you can get a good quality machine with these extra features within your budget then do so! Makers of sewing machines for quilting. There are many makers of quality sewing machines today, some you will already be familiar with, like Singer and Bernina, they’ve been around a long time. Most people who own a sewing machine have their favourite sewing machine maker. Bernina – founded in 1893 in Switzerland and still owned by the same family. Babylock – A division of Tacony Corporations started in 1946. New Home – No longer operating, finished in 1955 but models are still available second hand. Brother – Started in Japan in 1908, the european side being established in Dublin in 1958. Elna – Founded by Dr Ramon Casas Robert, a spanish engineer. The first machines for the home market were produced in 1940. Singer – Founded in 1851 by Isacc Merrit Singer and Edward Clark, a New York lawyer. It was bought over in 2004 by SVP Worlwide which is owned by Kohlberg & Company. Janome – Founded in 1921, this is another Japanese company. The American side is based in New Jersey.The company also owns Elna and the sewing machines are manufactured in the same factory. 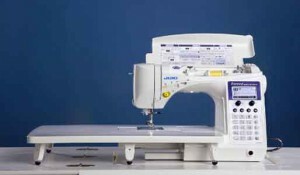 Juki – More well known for industrial sewing machines this Japanese company recently started to sell domestic sewing machines. Kenmore – owned by Sears the name Kenmore appeared on sewing machines in !913, known for inventing the “free arm” now common on most models. Sears recently stopped selling Kenmore machines. Pfaff – Founded in Germany in 1862 by George Michael Pfaff an instrument maker. Now owned by SGSB Co.Ltd and built all over the world. Another alternative is a long arm quilting machine, there are different makes and models varying in price. 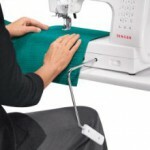 These are dedicated quilting machines and, generally command a higher price than a domestic sewing machine for quilting. I’ve gone into more detail about the ins and outs of long arm quilting machines which you can read here. You can also look for a good quality second-hand machine, sometimes you’ll find a better machine within your budget than going for a new model. Always try the machine out first and check all the accessories are there. 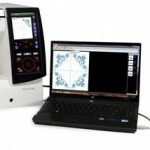 Make sure on full computerized quilting machines that the connections work and the software is included. (if applicable). As quilters, we have a lot to choose from and can make sure we find one that best suits our needs and budget. That’s good for us, but make sure you do your homework! 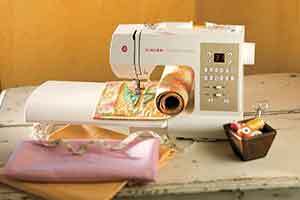 You can check out my review page for some unbiased reviews of sewing machines for quilting. You know, I have to say that you’ve outdone yourself (love the work you do on here). Seems like searching for the right tools, sewing machines, to do the right job is no joke. Huh? Thanks also, for the background knowledge on these awesome tools. Have a good one! 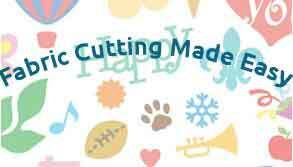 Great information on your Website for people needing the right Tools for Quilting! Lots of good advice here. I love quilting and sewing and recently bought myself a Janome 1100 which I love, have done quite a few quilts on it. So important to take the time to research a machine for quilting properly as there are so many to choose from now days. Thanks for visiting and leaving a comment Jayne. 🙂 You have done your research, the Janome 1100 is an excellent sewing machine for quilting! There are many great features, but Which particular one do you like the best? I like your background. Doesn’t seem to take too much attention away from your writings. Good article about quilting, your passion and experience show through your writings. Thanks for this timely article. I’m in the market for a new sewing machine for my mom who loves making quilts, but has a very old sewing machine. this is very well explained. My mom using a sowing machine ALOT. I am going to send her here and have her take a look. Thanks so much. Hi Alex, pleased to hear your Mom does a lot of sewing! Does she use her sewing machine for quilting? Hello Kathy: This is a very well laid out post. Your steps are super easy to follow. Thank you!